Snowmaking is an increasingly important component of ski area operations, even for the high alpine ski areas of Colorado Ski Country. Although only about 12% of skiable acreage in Colorado is covered by snowmaking, that figure may increase in the future if unpredictable early season weather remains the norm. Thankfully, snowmaking systems have become vastly more efficient in recent years, allowing ski areas to build their early season snow bases using less energy and water. 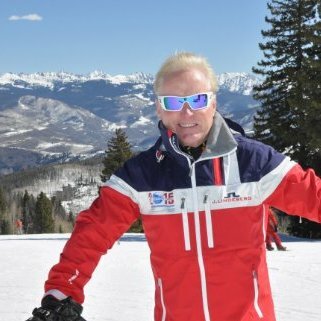 For the second installment of our ongoing series of interviews with leaders on climate change and sustainability issues in the ski industry, we had a chat with Robin Smith, the general manager of North American operations for TechnoAlpin, a leading manufacturer of snowmaking systems for ski areas. 1. Snowmaking systems are one of the largest infrastructure investments ski areas can make. When you engage with ski areas to design and build snowmaking systems and other solutions, do you find that increasingly variable winter weather is driving demand for the consistent and reliable snow surface that can’t always be provided by early-season natural snowfall? When we first talk to a resort about a new or retrofit project, even a couple of new guns, we always like to start with a snowmaking specific weather study. We used to pull 10 years of weather data but we have found that going back too far skews the data too cold and creates unrealistic expectations. Warm is the new norm. Most resorts want snowmaking to deliver the highest possible trail count before Christmas. We rarely even take the possibility of natural snow into account, because in fact you can’t count on it. The weather study tells us how many snowmaking hours to expect and at what average temperature. For effective snowmaking, we don’t include any wet bulb temperatures over 28°F . Resorts tell us how many acres are to be covered at a given snow depth; we can then tell them exactly how much firepower achieving their goal will require. Systems for western U.S. ski areas should be sized on this “Opening Scenario”. In the east, it’s more about the “Recovery Scenario”, which requires even more firepower. 2. Can you give our readers a general sense of the gains in energy and water efficiency that have been made in snowmaking systems in recent years? What is the typical amount of time it takes for a ski area to recoup the initial costs of a major snowmaking upgrade through savings in their utility bills? It depends on where you are coming from. When we can replace first generation systems, the return on investment (ROI) can be staggering. Moving from guns that squander 500 to 1,000 or more cubic feet per minute (cfm), to guns that are fixed at 18 cfm, the return can be as quick as one year depending on how utilized the gun location is. Sun Valley has done the most definitive study we’ve seen on ROI because they have 20 years of production history on each individual gun in their 500 gun system. They are in their third retrofit of almost the entire fleet; we learned a lot from them. A gun above the base area can return the investment in less than one season. A gun that runs historically only 24 hours on a cross trail could take 5 years. If you already have first generation “low energy” stick guns that are in the 100 to 165 cfm range, going to the new gold standard of 18 cfm or under brings returns in four to six years. Fully automating adds 40% to the cost, but the ROI remains the same because of increased efficiencies. 3. In addition to your fan guns, snow lances, and the entire supporting infrastructure needed to pump water up a mountain and turn it into snow, TechnoAlpin has developed some impressive software systems to control the snowmaking process. Can you explain to our readers how important state-of-the-art software is in building a snow surface as efficiently as possible? This was the tough take away I got from the Colorado Ski Country USA Snow Conference in Grand Junction. Many resorts don’t understand the huge impact snowmaking automation software can have on production, speed and energy efficiency. Not to mention quality of life for snowmakers! I was brought to tears by a discussion about what tool makes the best snowmaking hammer, how to thaw frozen hoses and how many guns you can jury-rig to run off one hydrant. We as an industry need to move beyond this stuff and we can’t without thoughtful investment. Snowmaking automation software delivers two huge benefits. Number one: Speed. I often see our fully automated customers light up 120 guns on four trails in seven minutes and the snowmaking staff of three is watching it happen on their cellphones. In the new weather norm of shorter windows of increasing marginal temperatures, this is where we need to be. The second underestimated benefit is in managing snow by volume. Knowing when you can pull off a trail and move on. We have resorts that know that number gun by gun. When #137 has finished its work, it’s off in seven minutes and #284, four miles away is fired up.